Diversiffi Media has been running projects in Europe over these past few years, all requiring a comprehensive analysis of Out of Home across key markets. This has allowed their clients to better navigate the differing levels of maturity and appetite in each country for the media – enabling them (Diversiffi Media’s clients) to better drive expansion and in many cases, their digital footprint, i.e a move from OOH to DOOH. As we wanted to kick off the European Out of Home Media Summit with a European market overview, there was quite simply no better person to do this than Diversiffi Media’s founder Fiona Fitzgibbon. Fiona has been working with global brands and networks across all aspects of their commercial growth, including helping them monetise their assets, develop new revenue streams, brokering integrated partnerships, and marrying OOH media planning and creative – in her ‘spare time’ she is also a Princes Trust business mentor, helping guide the next generation of entrepreneurs AND is also incredibly active as a member of Bloom, a professional network for women in advertising and communications, driving equal opportunity across the communications industry, Ed. 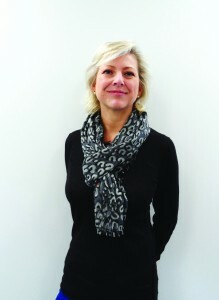 Fiona led the London 2012 Olympic/Paralympics strategy at Exterion Media (nee CBS Outdoor), prompting the collaboration with other media owners to drive the success of Out of Homes during the Games. As a result, she was invited to join Samsung UK/Cheil WW, where she was responsible for developing the UK’s largest out of home investment to date; overseeing OOH European placement and creating Samsung’s global Digital Out of Home and Out of Home creative guidelines. From there she went on to create Cheil Media, a dedicated out of home planning and buying agency immersed in the creative process, bringing media planning and creative together to help optimise the industry. 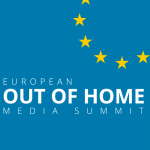 Fiona, who is not only incredibly passionate about our industry but extremely knowledgable about all of the European key metrics will present in London on Thursday May 16 at the European Out of Home Media Summit. Her keynote presentation is titled ‘‘European Key Market Overview, Maturity, Legislation and Opportunity’‘. Trust me, for the knowledge that this will impart, the ticket price is worth it for this alone! Registration for the summit can be found here. London Digital Signage Week takes place May 13-17, 2019 and as with its counterpart in New York, the week is for anyone involved with digital signage and interested in retail, employee communications, smart cities, digital out of home and of course digital signage! This entry was posted on Monday, April 15th, 2019 at 00:03 @044 and is filed under DailyDOOH Update. You can follow any responses to this entry through the RSS 2.0 feed. You can leave a response, or trackback from your own site.